Hook & Loop Closure. 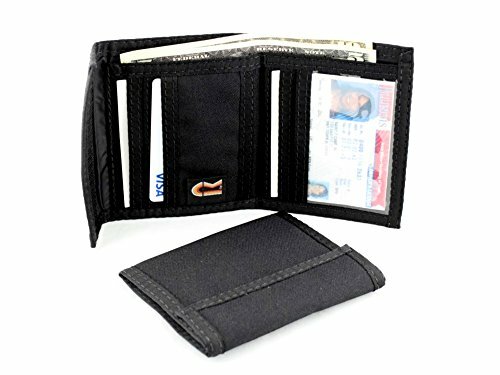 Outside Zippered Pocket on Back of Wallet Dimensions: Closed - 5" W X 4" H; Open 5" W X 9 3/8". Material: 1000 Denier Nylon Cordura for the "Coal" Color. / All the rest of the colors are 600 Denier Nylon Cordura. 5 Credit Card Slots for Multiple Cards / Clear Inside ID Window. Photo Insert Included / Lightweight, Water Resistant, and Washable. / Double Stitched for Added Strength. If you have any questions about this product by Rainbow of California, contact us by completing and submitting the form below. If you are looking for a specif part number, please include it with your message.